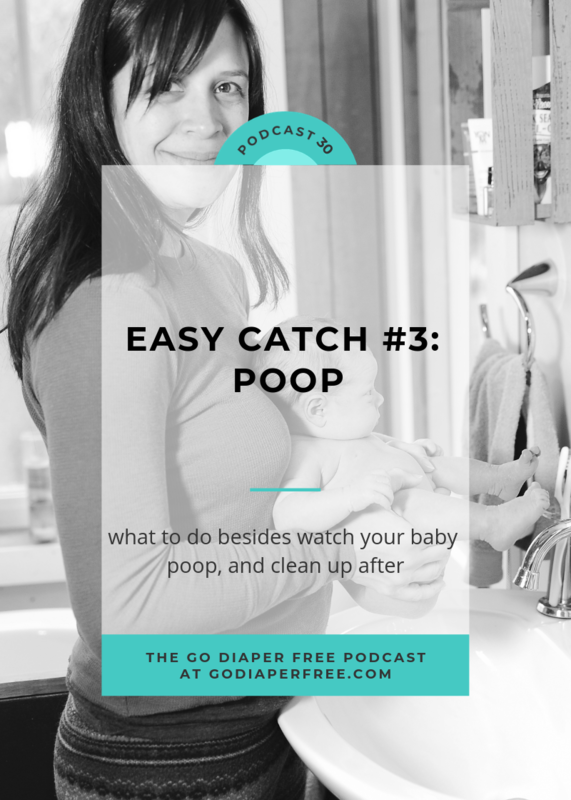 Alright, we've learned all about Easy Catch #1 and Easy Catch #2 on the Go Diaper Free Podcast. Now it's time to cover Easy Catch #3 - Poop. How many of you have noticed when your baby is pooping? Maybe you hear it, see it, or the look on their face is unmistakable. Whatever it is that cues you in, chances are you've been aware of what is about to fill your baby's diaper. In today's episode, we'll talk about everything you need to know about this easy catch, and the steps to take once the grimacing begins. Easy Catch #3 is my favorite catch. It's a simple catch with a high-reward, because who likes cleaning up a poopy diaper? Not me. Remember, after you listen, to tune in next time as I cover the last easy catch - Easy Catch #4. Have you tried Easy Catch #3? Please leave a comment below with your experience! This easy catch has always made the most sense to me. When I babysat as a kid, I always knew to wait for the baby to finish pooping – which was completely dumb! However, it is what I knew, so it is what I did. Fast forward to when I had my own kids – my first baby had blowouts EVERY. SINGLE. TIME. It was the most annoying diaper stage! I refused to take him anywhere without at least 2 or 3 extra outfits until he was out of the ebf stage. That was when I learned about EC. I looked into it, learned as much as I could with the resources I had, and determined I would do EC for my 2nd baby. My first was already too old, so I used another method of potty training for him. For my 2nd baby, I would’ve had the same regular blowouts (I know because of the 2 or 3 misses i have had on occasion) but instead I was able to just stick her on the potty. Blessed relief! I loved the term “stealth pooper.” That*s really what I have, a stealth pooper. This is not an easy catch for me. Your bonus about how to explain EC without sounding crazy sounds great! :D I typically just “do my thing” and act like it’s normal and don’t really discuss it. 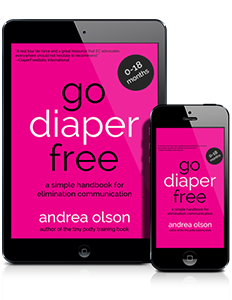 But some tips about sharing about it could help others who would like to have better communication with their babies, better hygiene, and change fewer poopy diapers too! I started to offer the potty after every diaper change since birth of my 6 month old son and it was working great from the beginning. We almost don’t have to clean poppy diapers (and poopy clothes), which is great and makes outings more preductable. And it is real fun. It was fun to see this was today’s email because I had just caught a poop in the top hat. It almost never happens though. I’m good at catches #1 and #2 but my girl (just shy of 6 months) leaves such a short length of time between when I realize she needs to and when she does it that I’m only likely to catch it if she’s already at the changing station. I’m going to have to the “wait” and see if we can learn that. I think part of the problem is that, while I’d love to have her use the potty I’m not keen on trying to switch from the diaper to the potty half way through. One small problem I’ve been trying to figure out is that she nearly always poops in twos or threes (i.e. poop, wait a minute or two, then poop again) and in the interval she is not very cooperative about staying still and I don’t want a top hat full of poop to be tipped up on the bedroom floor while she’s squirming. Any suggestions for keeping her still (-ish)? When she is on it to pee I accept the back arching as her signal that she’s done or doesn’t need to. Thanks for your great podcast again! Somehow I catch pee more easy then poop my 5 month old usaly poops when she sneezes ??. But I will do some observation again while she bottom free again to focus again on her signals! With my 2 year old. I almost always notice when she needs to poop but she always refuses to go on the toilet or potty. You said to give them privacy. What ab eye opener. Nwver thought that might be the trick! Thanks for the podcast Andrea! I have a question for you, actually two. My daughter is almost 9 months old. I have had good success catching her poops because her grunting before hand is pretty obvious. However, sometimes she will give me a “no” when I put her on her mini potty after she has been grunting. I KNOW she is about to poop because of the grunting, but she won’t stay on the potty to “finish the job”. Do I try again in a few minutes, or try to switch her from the cloth diaper to the potty once she has already started to poop? Which leads me to my second question: I use the “wait” for the times she has already started to go, but what is the best way to get her dirty diaper off and put her on a potty? I’ve tried to clean her up some first and have been pooped on! I’ve also tried to take the diaper off and get her directly on the potty, but got poop everywhere. I don’t like to wait for her to finish pooping in her diaper to then have to clean her up, but I confess I have done so because juggling her, her clothes, and her dirty diaper seems like more than what I can handle with just two hands! Thanks for your advice.